Last month I made the very spontaneous acquaintance of Jeff Davis, founder of The Alignment Blog. We very quickly found that we have a lot in common, in particular our concern on how complex sales & marketing alignment can be, especially in a B2B context. I am delighted to welcome Jeff as a guest writer today, on a topic I deeply care about: B2B Marketing & Sales Alignment. Many B2B organizations will be paying more attention to whether their sales and marketing teams are aligned in 2017. With new business books like “Aligned to Achieve” by Tracy Eiler and Andrea Austin, the conversation about alignment is increasing in intensity and business leaders are slowly trying to figure out how this methodology might positively impact their bottom line. The authors make a valid point about collaboration when saying “there needs to be an environment where people are not only encouraged to work together, but they also want to work together.” This clearly illustrates that achieving alignment is not about the best B2B marketing stack or sales enablement tools. No. It’s about people. Until the leaders of the organization truly understand that alignment is about a fundamental shift in the way that Sales and Marketing see each other, they will not make any significant progress in aligning these two functions. What I found compelling was that most of the reasons given were people issues. They weren’t focused on a complex B2B selling process or not having the right technology. The overarching theme was – Misalignment. Companies have to see that you can’t expect two groups to work together effectively if their goals aren’t aligned and in many cases are counter to each other. I argue that you must have the support of the CEO if you are going to embark on aligning Sales and Marketing. Tracy and Andrea take it one step further by saying – “Support means the CEO sees it as a differentiation, a key driver to growth, and a key component of the company’s overall strategy.” The head of the organization is too crucial to the success of this type of effort to not have him/her champion it from above. In many cases it may be difficult if you have a CEO that doesn’t see the two functions as one team or even supports them being at odds. There is a significant amount of change management that is involved in truly getting this right. However, I think if we focus on the people aspect first you not only are able to develop a strong foundation but you can do it with a much cheaper price tag which may help convince others of the value of creating true collaboration. With the proliferation of new B2B sales and marketing tech it’s so much easier to choose one and hope that alignment happens. Unfortunately, B2B tech is not a panacea – especially in this case. We have to help sales and marketing leaders understand that misalignment is a people problem. It’s alignment problem. It’s a incentive problem. We must stop over complicating the reason why Sales and Marketing don’t work together well. Until they have incentive to do so, they won’t. Jeff Davis, Founder of The Sales and Marketing Alignment Summit, has had the opportunity to work in several different roles within Sales and Marketing throughout his professional career of over a decade. With rich experiences in both Sales and Marketing, Jeff takes an extremely unique approach to business development that focuses on fusing both functions to create the best platform to engage prospects. He focuses on helping Sales and Marketing learn to speak each other’s language and better appreciate their interdependent relationship. Business development is about listening to prospects, connecting with their pain points, and demonstrating value through a product or service. This is best done when Sales and Marketing work as a cohesive team with the same goals. 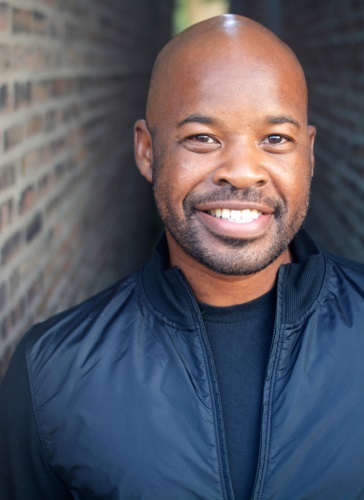 He has been recognized with several awards for being a top sales performer, actively does Sales coaching for startups at Chicago’s 1871 – an entrepreneurial tech hub, mentors/speaks at The University of Chicago Booth School of Business, and is an instructor at the Startup Institute. He regularly publishes on the topic of Sales and Marketing Alignment (SMA) on LinkedIn, Twitter, Business 2 Community and Business.com. Connect with Jeff for speaking or consulting opportunities.